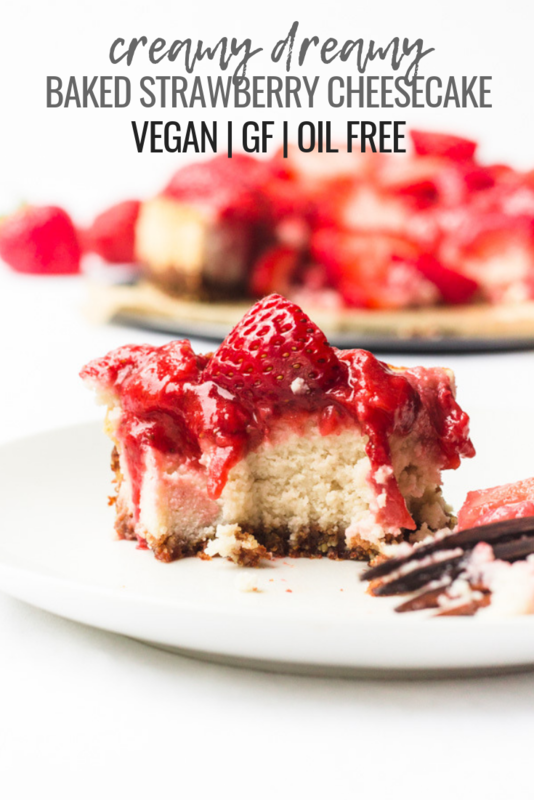 I bring to you the most delicious oven baked vegan strawberry cheesecake ever. 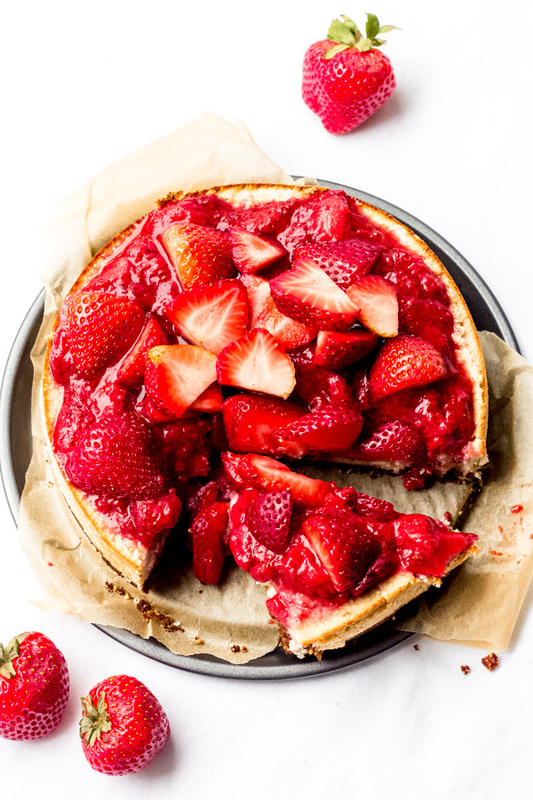 And please be advised this is not your traditional vegan cheesecake - there will be no use of cashews, no blended tofu, no store bought faux vegan cream cheeses, and most importantly, no need to freeze before enjoying. To make the chewy + crumbly crust we're going traditional - almonds, dates, a pinch of salt and cinnamon. 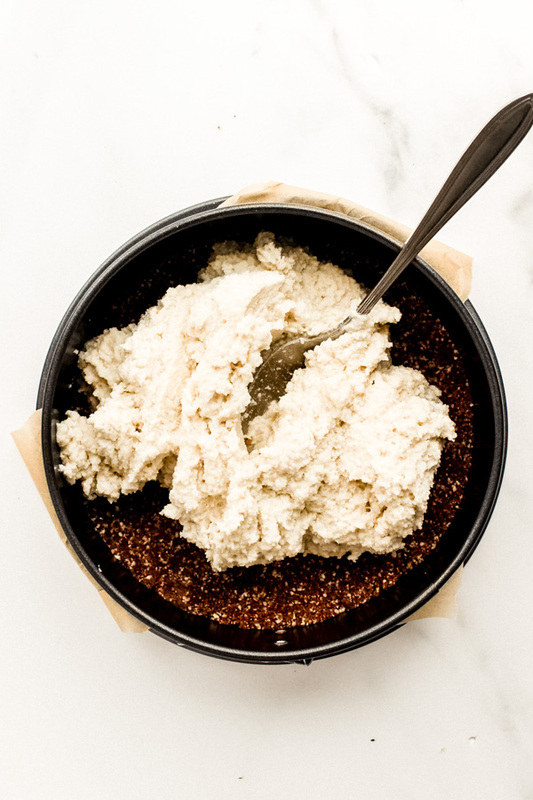 Blend it all up using a food processor until you have a sticky dough formed that can be pressed into a crust. The filling is where the magic happens. 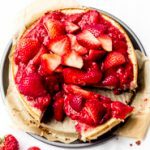 The following ingredients join together to form a magical, creamy, slightly acidic but still sweet filling that resembles very closely the cheesecakes of my childhood. 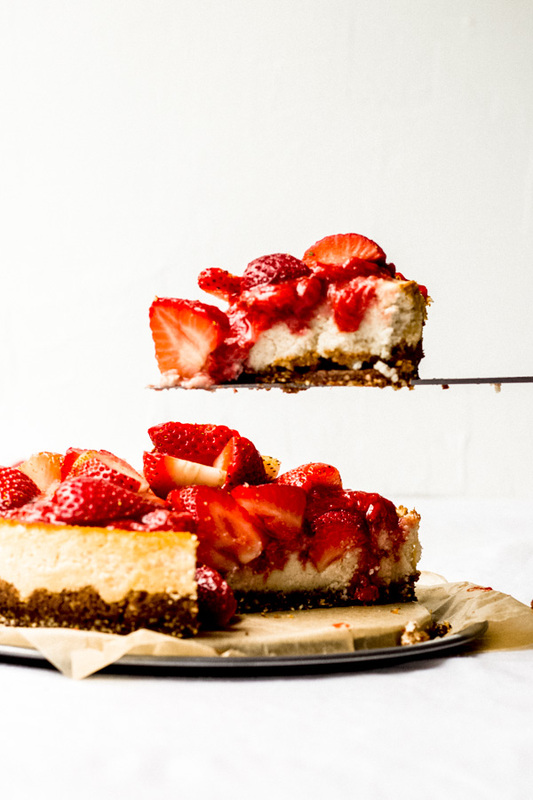 lemon juice and apple cider vinegar for that classic slightly acidic cheesecake flavor. The top strawberry layer is simply, almost literally, the cherry on top. 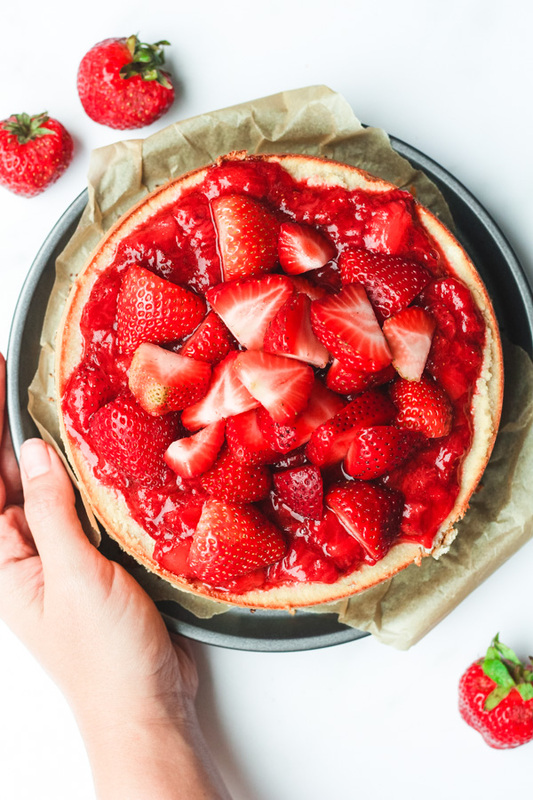 Of course there is room to be creative here - do not feel forced to stick with strawberries (I've tried it with blueberries and it is also delicious), but to me a 'classic cheesecake' has to have strawberries on top... and this does not disappoint. food processor - I use this cuisinart that I got off of Amazon. a 9'' spring form pan like this one - allows for easy removal of pie. 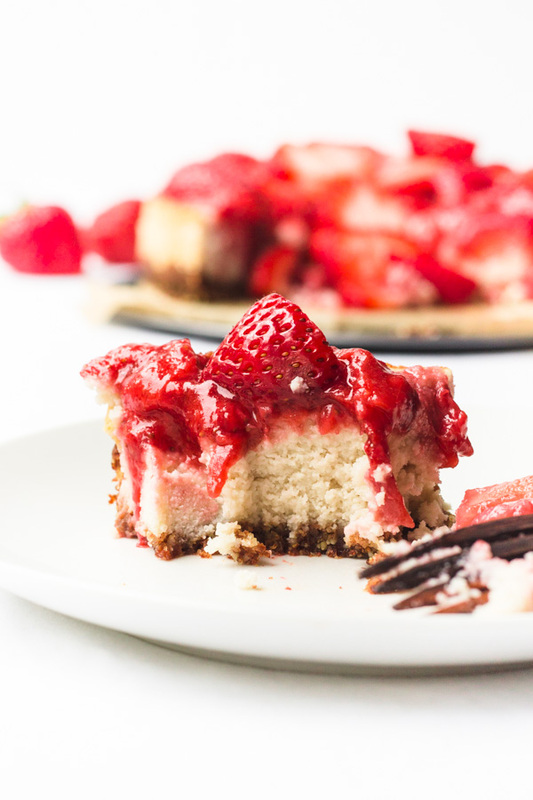 If you're into Valentine's Day (or even if you're not), this cheesecake will be a winner - i promise!